Meet Circle 2, the only indoor and outdoor, weatherproof, wired or 100% wire-free 1080p full HD home security camera with night vision and up to 180° wide-angle field-of-view that you can set up in minutes, and goes just about anywhere. You can count on your footage being secure. Every Circle 2 security camera is digitally signed and comes with 24-hours of free AES 256 Bit Dual Layer Encryption storage in your own secure private cloud. No matter where you are, only you have access to your footage using your Logi Circle mobile app or Web App. Key features include: 1080p full HD video, 180-degree wide-angle view, Night vision up to 15-feet, Free 24-hour secure cloud storage, Free smart alerts with snapshots, Two-way talk speaker and microphone. Premium features include: Person detection, Motion zones, custom Time-lapse Day Briefs and additional storage options available through Circle Safe Home subscriptions. 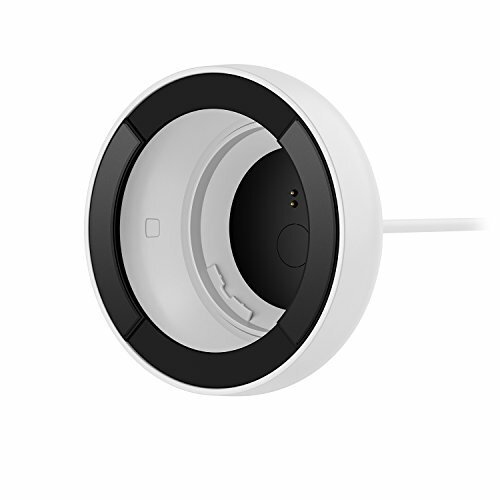 Circle 2, it’s whole home security made simple.